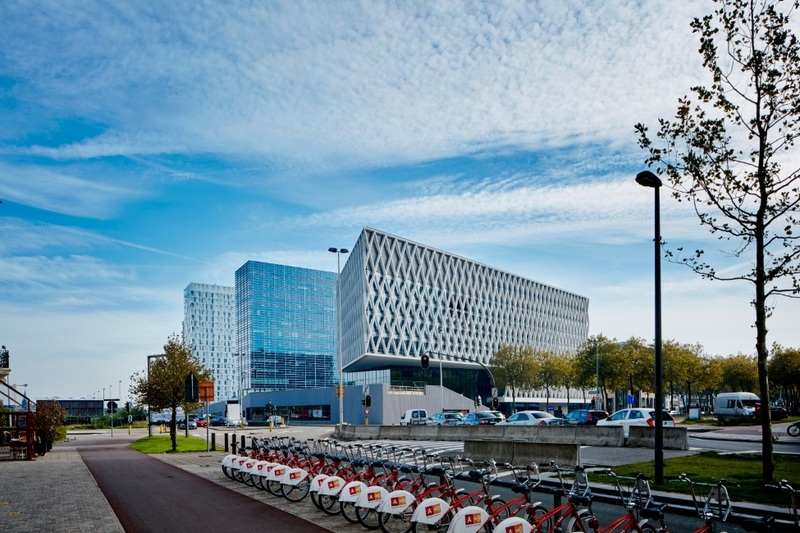 The new campus of the Artesis Plantijn University is situated in the North of Antwerp, at the green area of Park Spoor Noord. 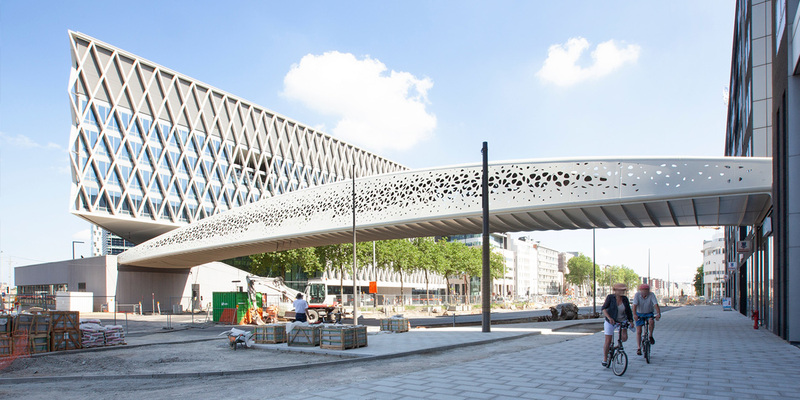 The construction of the AP campus was the last part of the reorientation of the former abandoned railyard site into the new quarter Park Spoor Noord. Innovation, transparency and integration into its neighborhood are only a few of the fundamental key stones of this project. 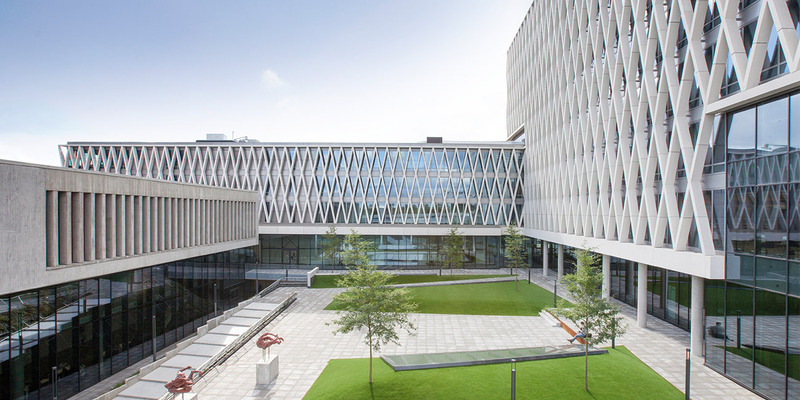 Durability is another important aspect and therefore the new buildings were set up with durable materials and stand up to the present EPB-standards of low E- and K-levels. 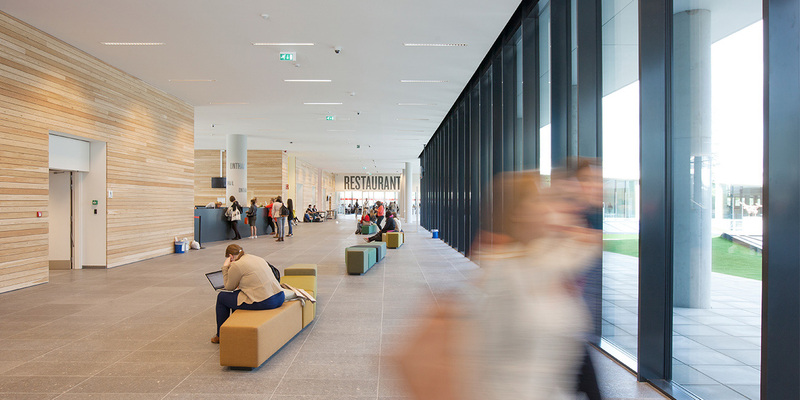 The campus accommodates over 3.500 students in 9 auditoriums, 49 standard classrooms, 12 ITC rooms, library of 900m², a cafeteria and various entertainment- and study rooms. 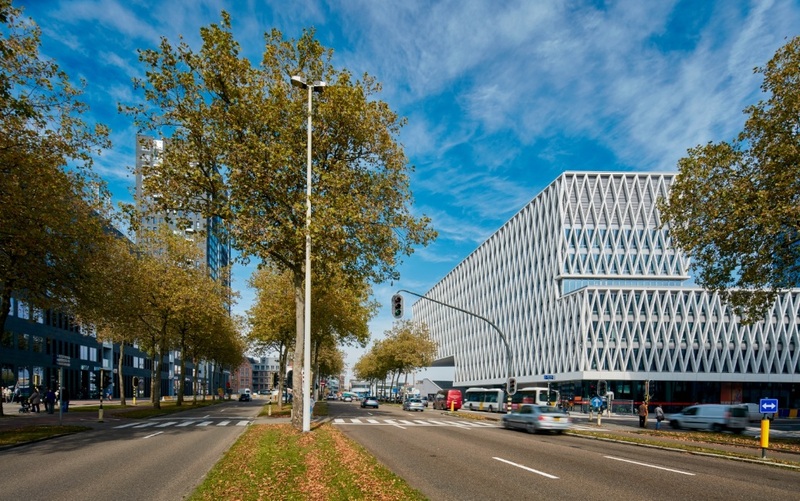 The auditoriums, divided over the trapezium sized main building, a rectangular side building and an elongated wider “at the top high-rise building”, are grouped around a green patio which forms the prominent part of the project and is linked to the adjacent park Spoor Noord by several paths. 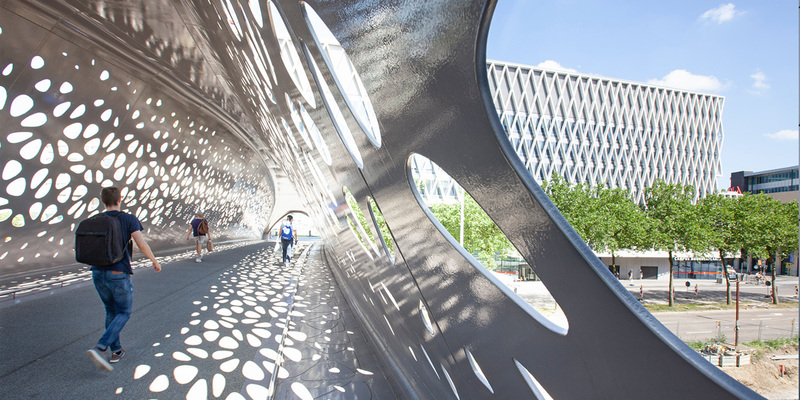 Students also have 211 underground parking spaces and a large bicycle shed at their disposal. 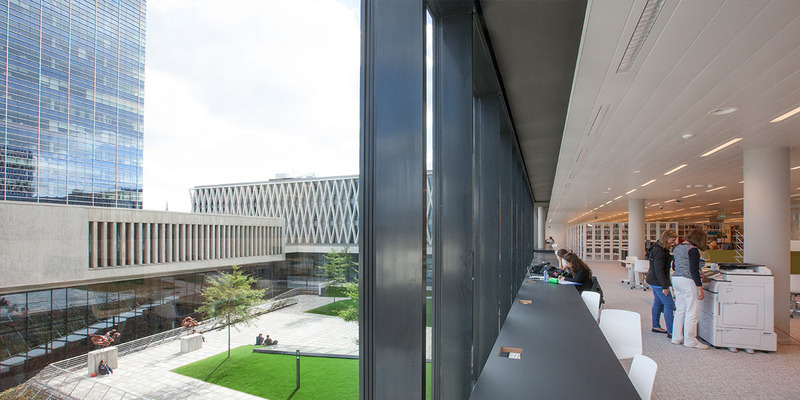 Despite the complex program, Campus Spoor Noord boasts a small ecological footprint. 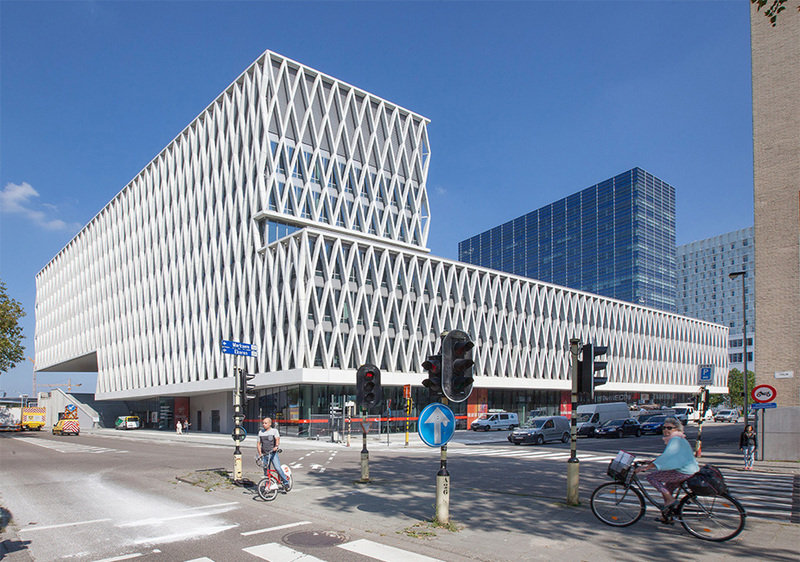 European Property Awards 2016: winner in category "Best public service Architecture Belgium"